Since I had so much fun with last week's episode about underwater Aztec pyramids, I thought I'd also review the show on the serpent mounds. When I originally started my shamanic blog, many years ago, it was to record my dreams and musings as I was initiated into the Order of the Feathered Serpent, with my final initiation to be at the Ohio Serpent Mounds. Because of illness in his immediate family, the teacher had to put the class on hold, and it's never started back up even though I've contacted him several times. This episode of American Unearthed starts out by saying, "There are mysterious mounds scattered throughout the planet." Inside and out, apparently, not just on the surface. Bad writing strikes in sentence one. In Oban, Scotland, Scott Wolter (the show's "forensic geologist" host), investigates a serpent mound, one of three in the world (one is in the U.S. and two in Europe). This serpent is on the edge of Loch Nell and this drawing shows its alignment. This is a Bronze age effigy mound, most of which are ancient and associated with rituals. This one had a stone circle in the head, including some stones that had been burnt. You can see the altar stone in the circle. Also on the site was a stone burial chamber called a kist, excavated in the late 19th century, and found to have been robbed, with only a bone knife left behind. 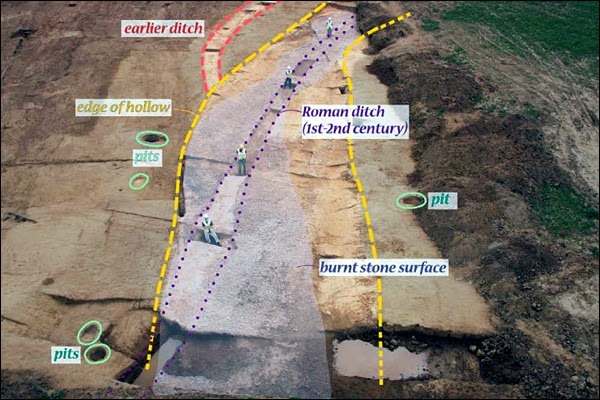 Probably this was a site for ritual sacrifices (one of Wolter's favorite subjects). Wolter, using his geology knowledge for once, explains that probably there was a glacier here, terminating in this loch. The movement of the glacier, dragging along rocks and soil underneath, forms a natural winding ridge called an esker, which is what the serpent portion probably is, and then enhanced by humans. Serpent symbols are ancient, going back to the Bible. Egpytian pharohs wore a serpent (uraeus) on their crowns. The caduceus staff of the Greek god Hermes has two serpents wrapped around it (it's now the familiar medical symbol). Wolter then brings in the serpent from last week's episode, the one that supposedly guarded the supposed underwater Aztec pyramid. He mentions Chichen Itza, now one of the new 7 wonders of the old world, in Yucatan Mexico, by talking about astro-astronomy (and also showing the observatory building at Chichen Itza), but somehow fails to note that the base of the staircases of the main pyramid (the famous one) are the heads of serpents, specifically of the god Quetzalcoatl/Kukulcan (Aztec/Mayan names for the same god), or the fact that on the spring equinox the shadows make it look like the serpent is crawling down the steps. 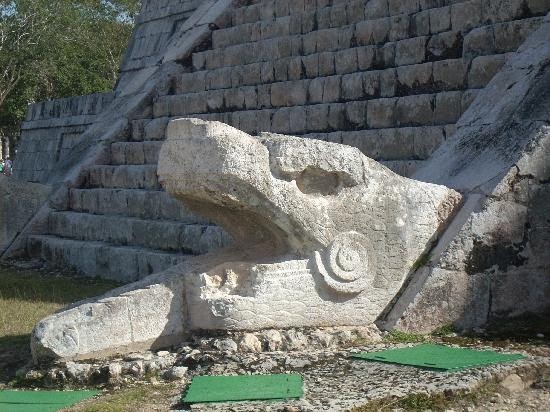 In fact there are feathered serpent heads all over that complex, not just on the main pyramid. And of course Wolter finds alignments! The people who built the mounds aligned them to...wait. Did he not just say the mounds were laid down organically by the glacier? 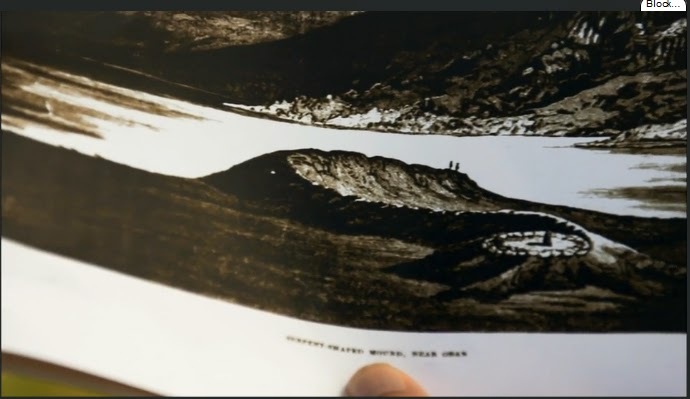 Why would the glacier have used archeo-astronomy to form the mounds? I'm therefore ignoring what he says about these alignments. Because clearly any idiot can see that it makes more sense that the mound was organically built by nature and then improved by man. Wolter is forcing his ideas onto this, because of his obsession with archeo-astronomy. He returns to Chichen Itza (or, as my husband refers to it, "Bert's homeland") and finally brings up the alignment I already detailed above, but he mentions it in less details. 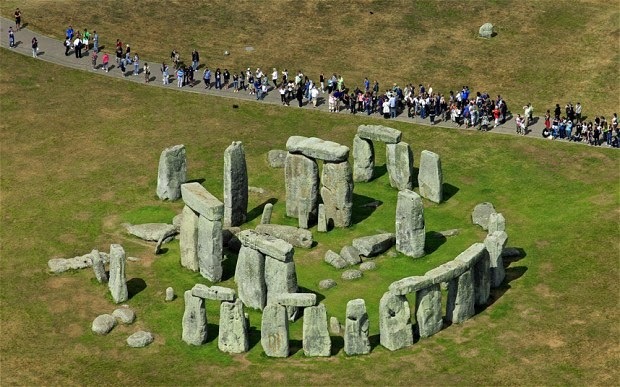 Stonehenge is another well-known place that has definite, built-in alignments. I will listen to someone talk all day about man-made alignments at those two man-made places. I won't listen if you're talking about an organic formation. And please don't say God did it. Please. The local expert says in 2000 BCE, people moved into that area (Loch Nell). Wolter asks eagerly if they were "pagans." 2000 years before Jesus that's all there were, pagans. My brain just broke from the stupid. And of course human sacrifice! Don't forget all the pagan rituals and human sacrifice. Wolter gets in a helicopter to tour the Ohio mound from the sky. There is an extended showing of dials and rotators and the helicopter taking off. Since it was made to be seen from above, clearly it was built for the gods to see. Or aliens, of course, but that's another show (Ancient Aliens)--I yell at that one too. This mound has been carbon-dated to between 700 BCE and 100 AD--13 centuries or more after the Scottish one. Some nearby but associated burials were found that date very far back, even fossilized ones, but were they the original builders? It's not the same at all in my eyes. This serpent has an egg in its mouth, possibly a sun disc, or the Eye of Horus (Egyptian connection again, even though Egypt has zero serpent mounds?). This serpent has 15 solar/lunar alignments and it also looks like the constellation Draco. I don't see it. The local expert says the mound was designed by "a genius who loved the heavens and loved the earth," an adept. It's a place to "restore the spirit of the planet." But he thinks the SAME PEOPLE built both mounds. They lived a long time, from 2,000 bce to 700 bce, didn't they? Oh, and now they've brought God into it after all. Supposedly God built the Ohio mound to remind everyone of the serpent in the garden and the "egg" in the snake's mouth is the apple, the fruit of knowledge of good and evil, so therefore...wait for it...the Ohio mound is the location of the Garden of Eden. Really, if I wasn't blogging this, I'd probably have turned it off there, exactly halfway through the episode. The local expert says the Cherokee people believe the Eastern portion of the U.S. was once a garden, and therefore the Garden of Evil. And clearly, the expert believes the serpent was the great father/mother/provider so the two sites must be connected. Even though the garden of Eden connection has an evil snake motif, not a benevolent one. 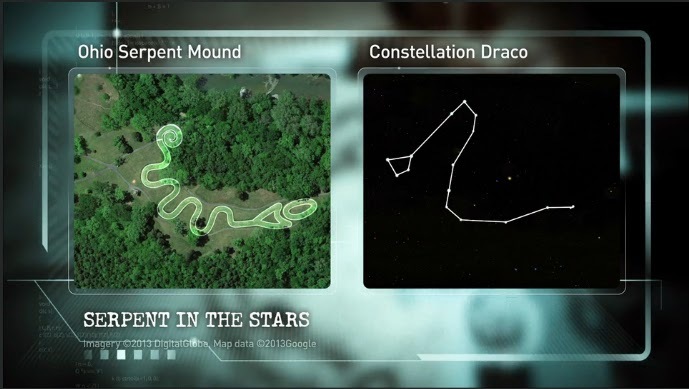 They go off to Effigy Mounds National Monument in Harpers Ferry, Iowa, to somehow prove the connection between the Ohio and Scotland serpents. Wolter declares that "ancient pagan travelers from Scotland" clearly helped the people in Ohio build their serpent. In Iowa, he meets with another local expert, a man who has been surveying and studying the mounds for 33 years. The site originally had over 1,000 mounds (most now destroyed). It was a place of education and of course had archeo-astronomy. The local Ho-Chunk people (their shamans/priests), according to the expert, were travelers who regularly went to Europe. You know that Wolter immediately lost his MIND over this, as it proves his theory of transference, although in the other direction. He says figuring out why they encoded information in the effigy mounds would "a global system of shared knowledge and ideas, a link between cultures that reaches further back in time than our history books tell us today." And of course, his standard line, if I can prove this, it will change history. The local expert says the shamanic knowledge of archeo-alignments was shared freely among local tribes and of course across the Atlantic to (pagan?) Europe. 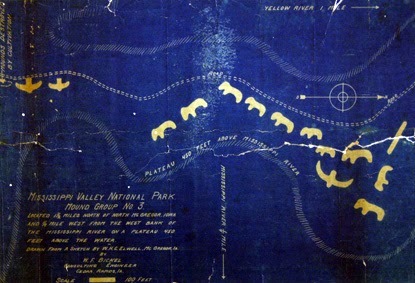 Next Wolter visits Cahokia (on the Mississippi River in Missouri, across from St Louis). He wants to use LIDAR to scan Cahokia. This is the same technology that they are using to find sites hidden in the jungles of Central America. Apparently LIDAR has been used there before, but it was an older version with lower resolution (looking at a dog, not at his fleas, as the operator says). Cahokia once had 12,000 people living there in 1200 AD, more than contemporary London or Paris (but at the same time, Tenochtitlan--the Aztec capital--had 200,000-300,000 inhabitants, making it the largest city in the WORLD). 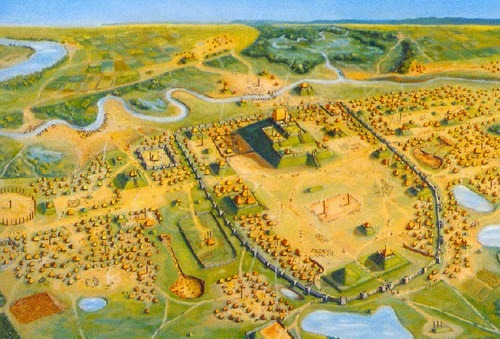 The largest mound of Cahokia is larger than the Great Pyramid of Egypt. It was the largest man-made building in Pre-Columbian North America. The LIDAR image of Cahokia is awesome. There's no way to screen print it unfortunately but it shows roads and little houses and larger buildings. His conclusion, of course, is that all the sites are related (all the American ones, yes, unquestionable, but lumping in Scotland, no). He never showed the third serpent mound so I did a little research, which made me sad. The third serpent mound was in England and it was destroyed in 2007 when a road was build over it. 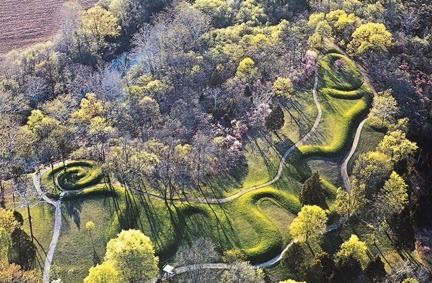 It was called the Rotherwas Serpent Mound. The link contains its story and description as well as comparisons to the other two mounds profiled in this episode.